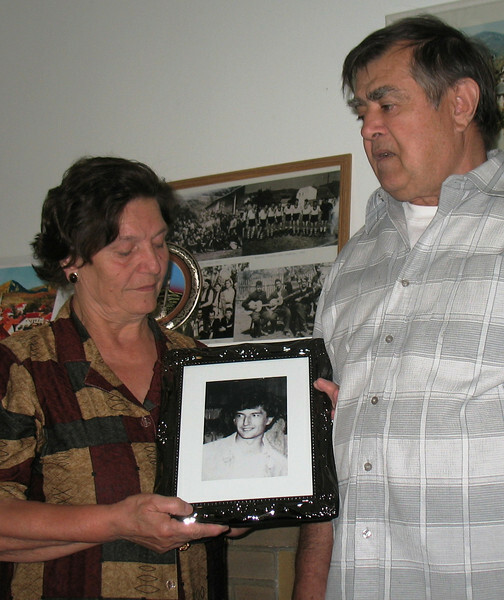 Sabiha and Rešad Kulenović hold a photograph of a son killed near Prijedor. His body has never been found. Photograph by Benjamin Moore.